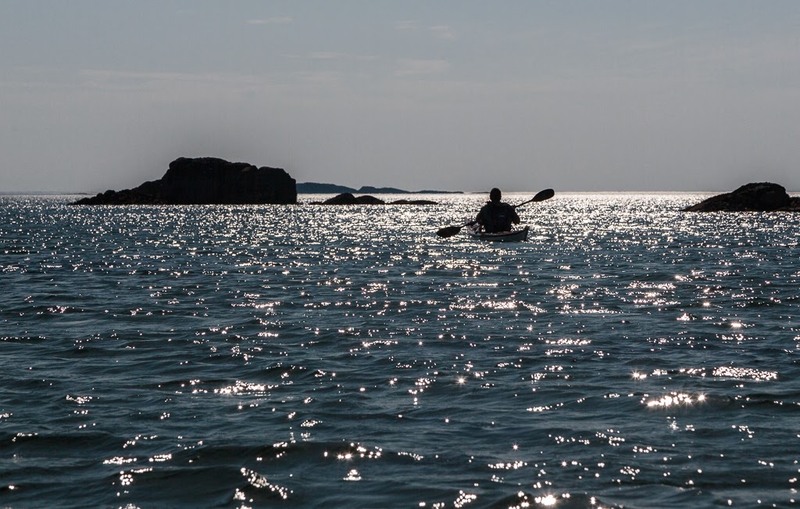 ...were able to paddle through the shallows where the water was as clear as green glass. 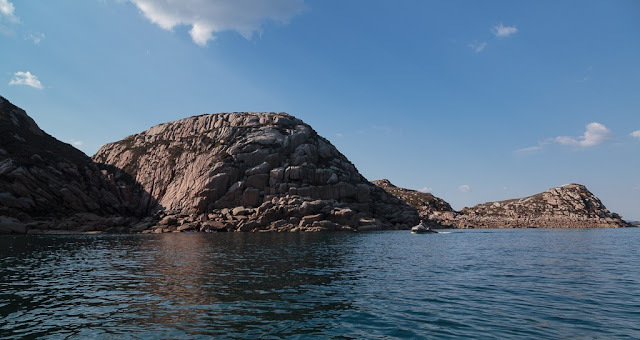 We reached the rocky shore of Erraid. 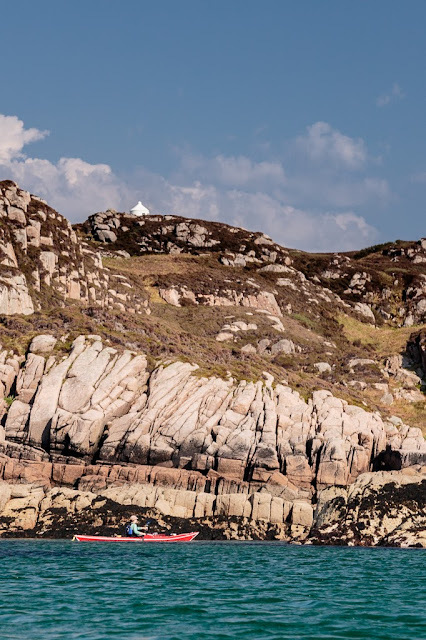 Alan is looking at the cottages which were built for the keepers of the Dubh Artach lighthouse and later the keepers of the Skerryvore lighthouse joined them when the Skerryvore shore station at Hynish in Tiree closed. The lighthouse engineer was Thomas Stevenson, father of the author Robert Louis Stevenson (more about him in the next post). ...the lighthouse signal tower looks out over the Sea of the Hebrides to the distant lights. 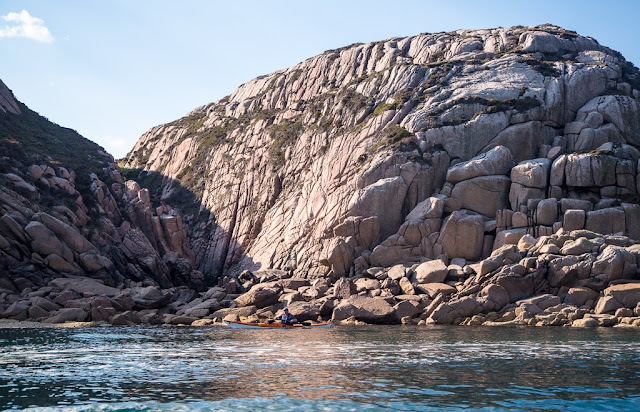 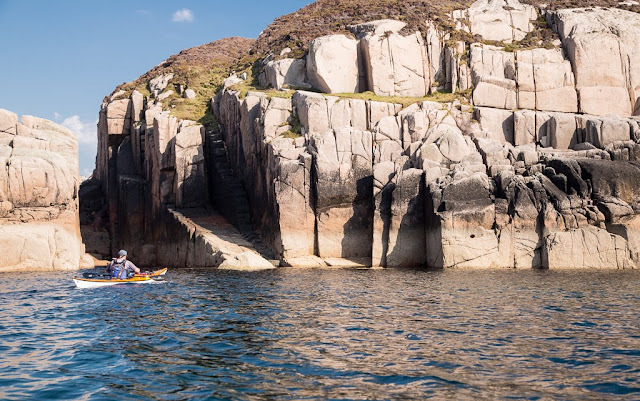 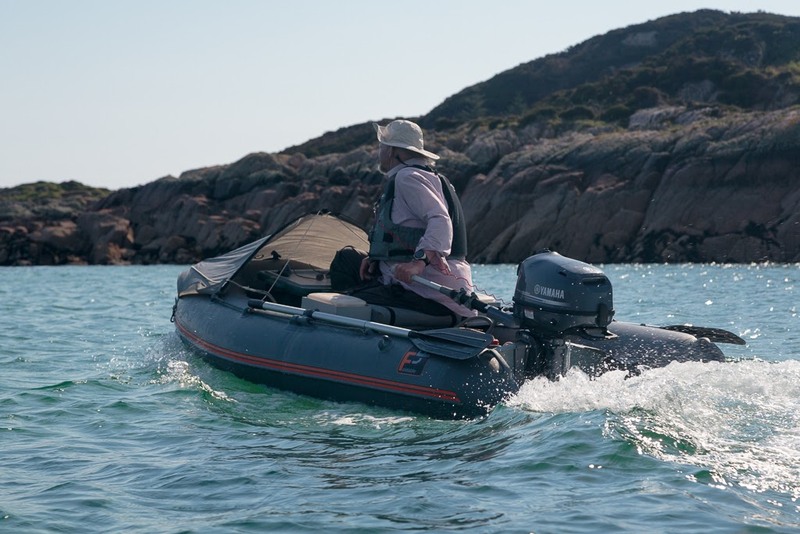 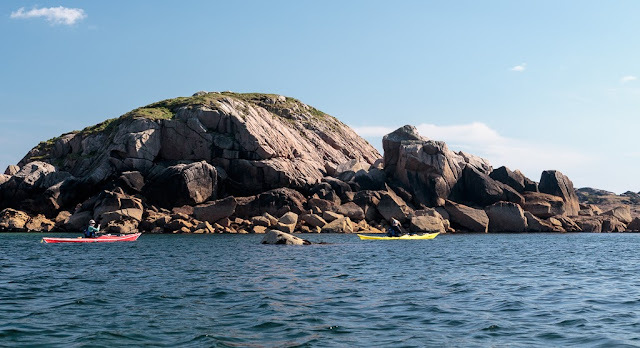 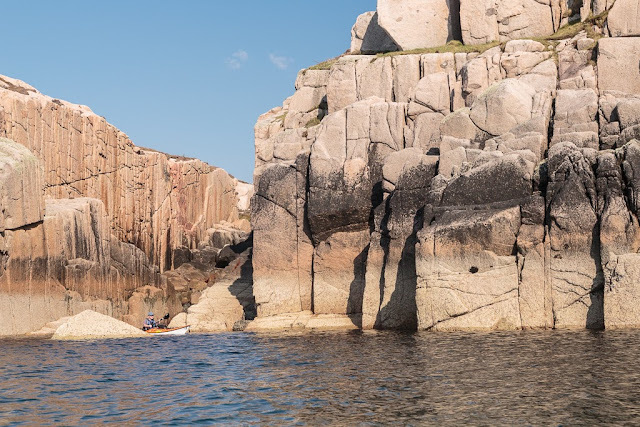 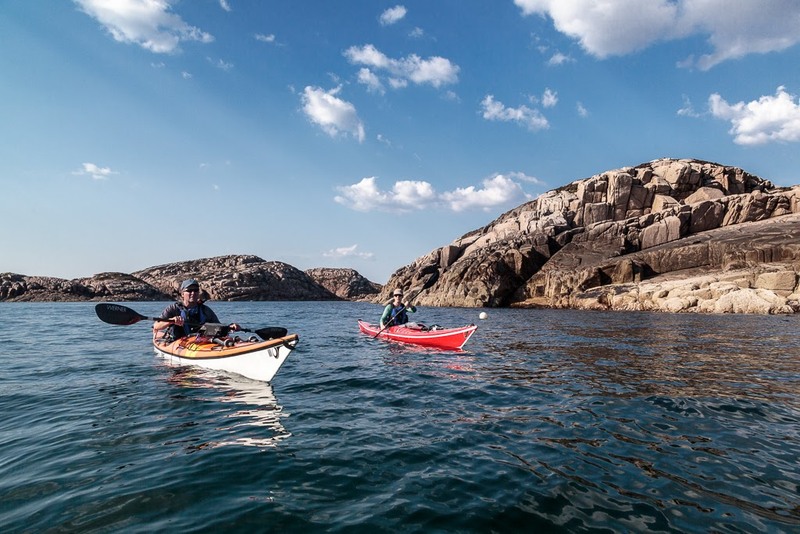 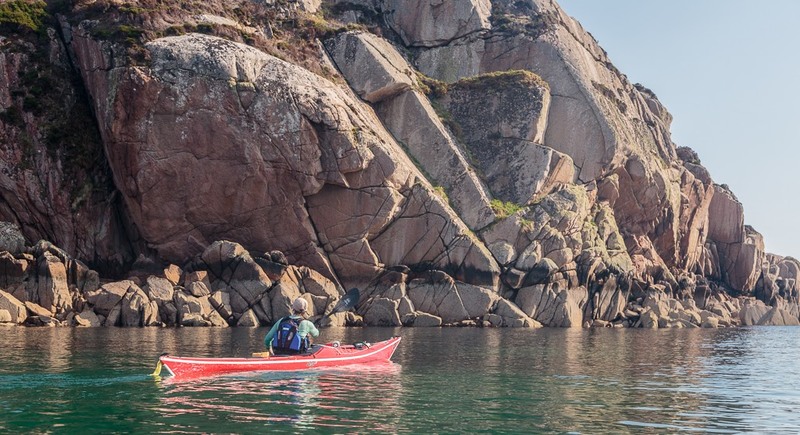 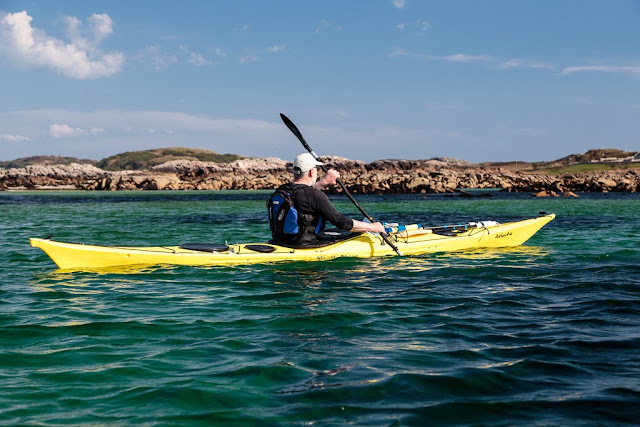 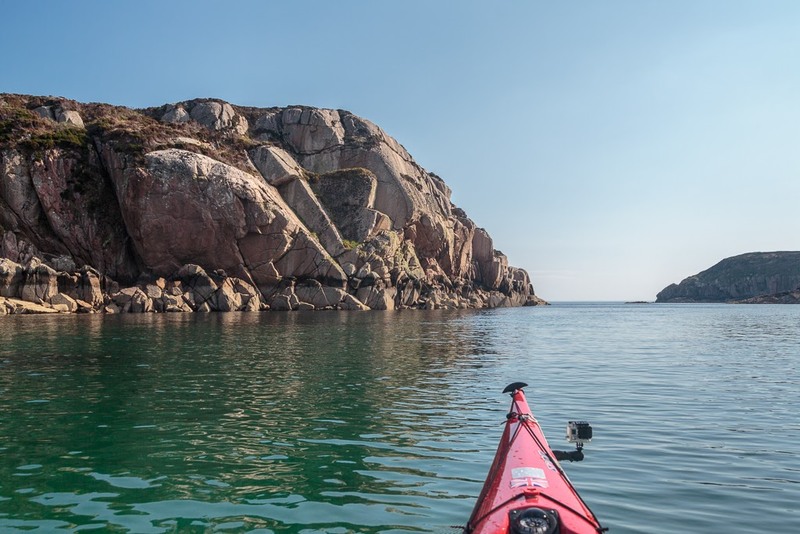 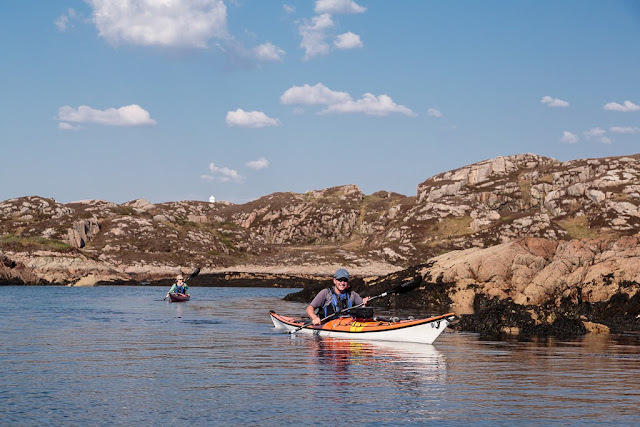 As we paddled round the pink granite shore of Erraid it was baking hot especially when we entered the narrow windless channel of the Tinker's Hole. Ian is down to a T shirt but was still too hot. 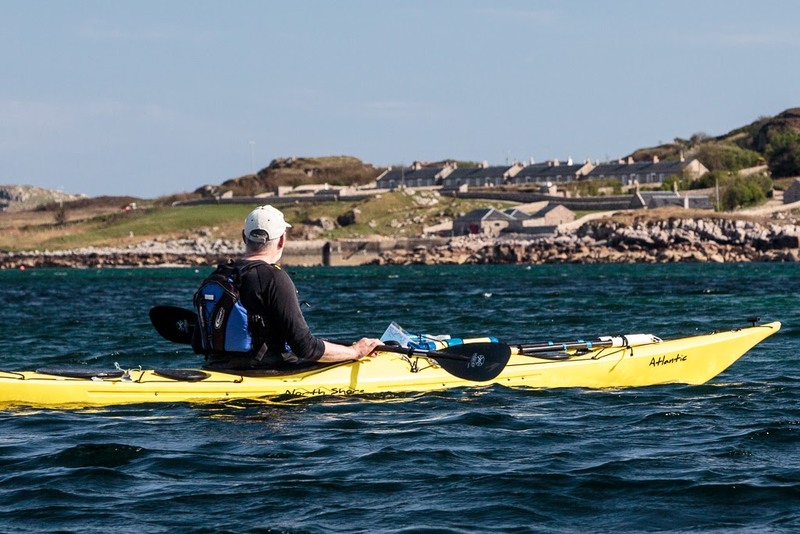 We caught up with Donald who had stopped on a tidal sand spit to photograph the signal station. He passed us again as there is a deep channel through the gap. Tinkers Hole is a well known yacht anchorage as it is well sheltered given the otherwise exposed position of the Ross of Mull. 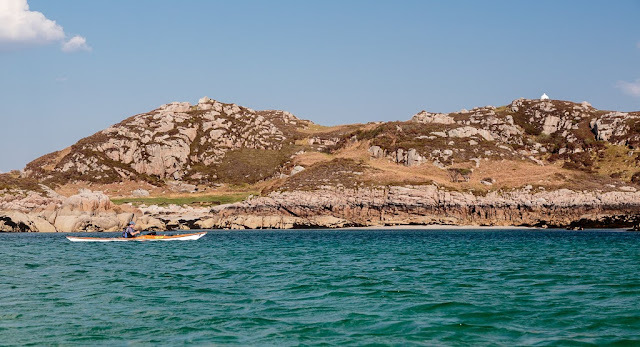 ...exited onto the exposed south coast of Erraid.